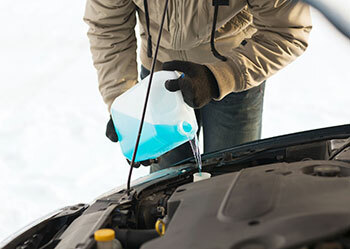 To prepare for winter weather conditions, you need to start with your windshield. You need to make sure that the glass is safe when the weather begins to change outside. Any windshield replacement or rock chip repair company can provide assistance in weatherproofing windshields, but it is helpful to know why you should do this and how it can be done, as there are a few things that you can do on your own without consequence. Why Is Weatherproofing Your Windshield Important? 1. It will help to provide more structural stability to your vehicle. 2. It will keep you (the driver) and your passenger’s safe, regardless of how extreme the weather is. 3. It will help to ensure a comfortable, stress-free ride for you and your passengers. You can probably understand the second two, but you may be a bit confused about the first. Nearly one-third of the structural integrity of your car actually comes from your windshield. When your windshield is not in its best condition, then the structural integrity of your car suffers. Therefore, it is important to take the necessary preventative measures in order to keep your windshield as strong as possible. How Do You Weatherproof Your Windshield? • Inspect for Chips and Cracks – Conduct a close and thorough inspection of your windshield. If you notice any chips or cracks, even if they are extremely tiny, it is crucial that they are repaired immediately. Otherwise, the cold weather (and hot weather in the summer) may cause the chips and cracks to expand creating more damage. • Apply a Rain Repellent – Since many accidents occur in the rain due to low visibility, you need to do something to combat this. Apply a rain repellent to your windshield. Although you can do this on your own, it is much more effective if you let a professional do it for you. This will help ensure you maintain visibility despite the heaviness of the rain and snow. • Install New Wiper Blades – Another thing that can keep you from seeing well while driving is your wiper blades. You need brand new, strong blades that will quickly and effectively wipe away the rain and snow as you are driving. • Obtain an Anti-Frost Product – Many people have never heard of this one, but it can come in very handy when the weather is less than ideal outside. You are likely well aware of how hard it is to get that fog off of your windshield and to keep it off. This product makes it easier so that you are safer in harsh weather. If there is anything that you do not understand or would like more advice on preparing your windshield for harsh weather, contact a Twin Cities auto glass company for assistance. In some cases, you may need to undergo a windshield replacement before the extreme weather hits. Make sure you're protected when on winter roads with these tips about weatherproofing your windshield. Contact Only 1 Auto Glass today for any of your auto glass needs. « My Windshield Has A Chip: Can It Be Repaired Or Does It Need To Be Replaced?